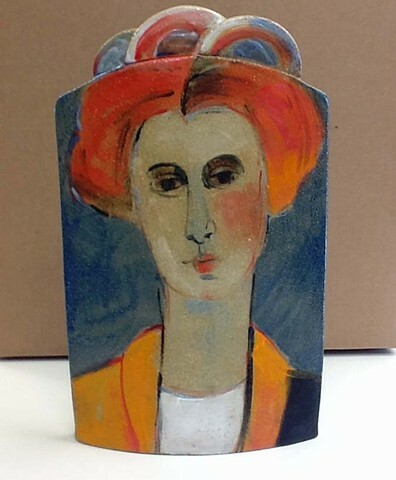 My current work melds my my clay and painting experiences. I am trying to produce formats that take advantage of the third dimension that clay offers, yet allows me us use glazes in a painterly way. This piece has a woman on each side- as do most f them thus far.